It’s #gratitudefriday, and today we are feeling so grateful to be able to fill our pantries and fridges with nourishing food! One way that we make this possible for ourselves is to make the possible best use of the ingredients we buy each week. When we have leftover ingredients from one recipe, we don’t let them go to waste. Instead, we come up with a new recipe that uses the same delicious components! 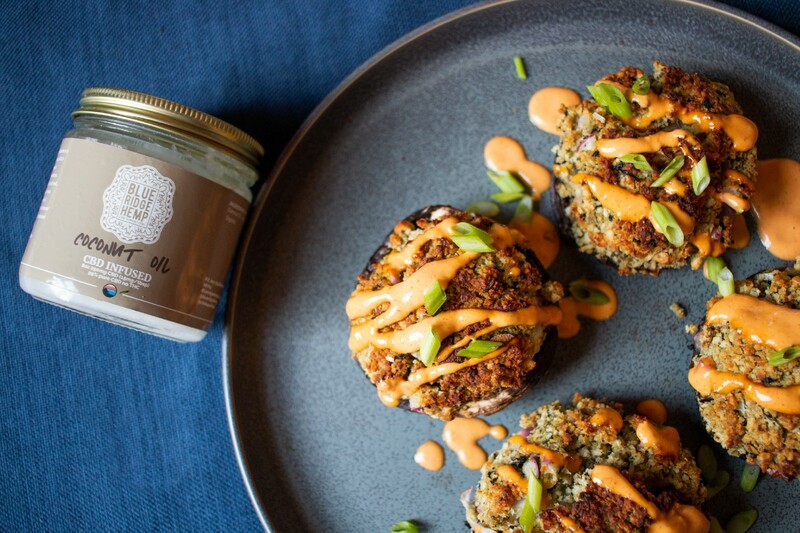 A few posts back, we shared our recipe for @cbdsuperfood crab-less cakes. They were a big hit, and our @blueridgehemp team ate them up so quickly. 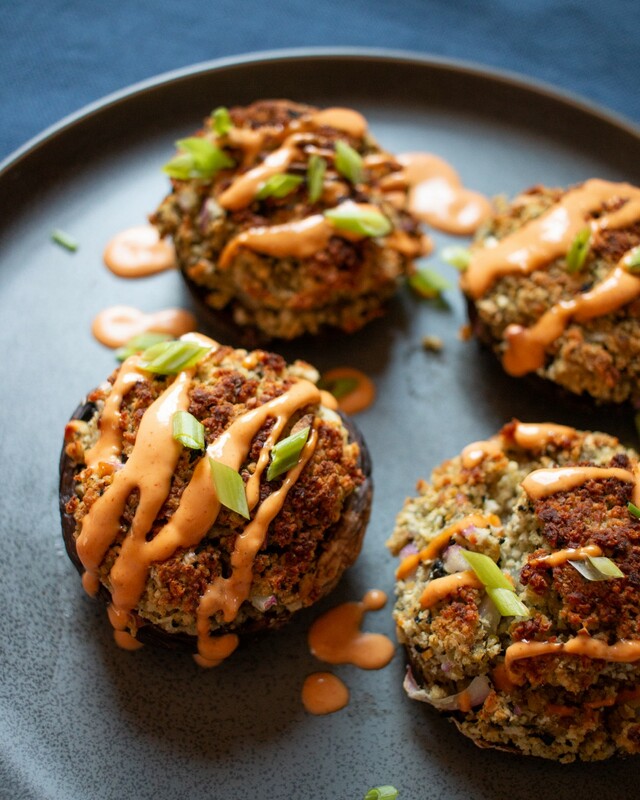 We still had some uncooked filling left over, though, so we decided to try using it in stuffed mushrooms — and it is absolutely delicious! Make up a batch of these to share with friends! And in the comments, let us know: what are some of your favorite ways to repurpose recipes during the week? Pre-heat oven to 350˚. Combine all stuffed mushroom ingredients in a bowl except for mushrooms, and stir until well combined. Stuff mushrooms with the filling. Grease the bottom of a baking dish and place stuffed mushrooms in with at least 1 inch between each mushroom. Drizzle the tops with olive oil. Bake for about 25–30 minutes. Top with sriracha mayo and enjoy!